Many mayor-council cities have hired professional city administrators to serve under the mayor and assist with administrative and policy-related duties. By doing so, these cities seek to gain the benefits of professional management, allowing the mayor to focus greater attention on policy development, political leadership roles, and serve as a part-time Mayor. Under the general direction of the Mayor, the City Administrator manages the day to day operations of the City. The Administrator is responsible for the supervision of all Department Directors, the City Clerk, the Information Tech., and the Parking Enforcement Officer and also serves as the Personnel Director and Airport Manager. Further, the Administrator manages all of the inter-local agreements and contracts for city attorney, public defender and animal control services. Mike Jackson began serving the City of Chelan as City Administrator on November 1, 2016. Mike draws from his experience and enjoyment of public service to meet the challenges of municipal government. He believes each community is unique and strives daily to fulfill the vision and core values as established by the Mayor, City Council and citizens. Mike began his professional career as a State Park Ranger and Park Manager in Utah after graduating from Utah State University in Recreation Resource Management. He then made a shift to City government by serving as Director of Parks, Library and Recreation (PLR) Director in Sterling, Colorado where he was the first Director of that newly formed department. In 2003, Mike was drawn to Washington by the formation of the newly incorporated City of Spokane Valley. At the time, Spokane Valley was the largest U.S. City incorporation in U.S. History and Mike was excited to serve the City as its first Parks and Recreation Director. 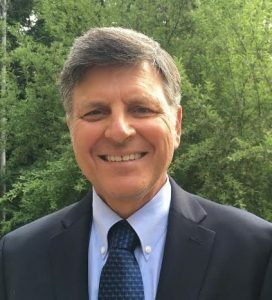 After several successful and exhilarating years of serving the Spokane Valley community as Parks and Recreation Director, Mike went on to become the Deputy City Manager. Then, in 2010, Mike was selected as City Manager of Spokane Valley and served in that position until 2016. After leaving Spokane Valley, Mike served as Interim Administrator in College Place Washington where he gained additional experience in a council/mayor form of government. In addition to his Bachelor’s Degree from Utah State University, Mike also has a Master’s Degree in Management from Regis University in Denver, CO. Mike is a Credentialed City Manager with the International City/County Manager’s Association where he continues to learn as he meets the forty plus hours of development and educational requirements each year. True to his parks and recreation roots, Mike is an active outdoorsman, hiker, golfer and generally “always busy” kind of guy. Mike and his wife Sharon have three grown children and one granddaughter that they dearly love and are very proud of. Mike believes in a balance of work and play and sees Chelan as the perfect place to fulfill both of those dreams.